The software market is growing. The opportunities for people wanting an employment in this field are also growing but the main concern of employers now is the employability of the candidates. Here are some tips to make your self employable and crack the interview to your dream job. With the businesses becoming more technology focused, the software development market is growing everyday. This calls for more and more people to be employed in this industry. So, the opportunities for people wanting to work in a software profession are growing but at the same time growing is the concern of recruiters over the employability of the candidates. Whether you are a fresh candidate or someone with experience, it is extremely important that you should be able to impress the recruiter. The recruiters get a number of applications from people seeking the employment for every position they advertise. So, if you have already received an interview call, make sure that you are able to prove your metal in the first round of interview to make it to the second round. The interview process at most of the places these days comprises of a test to check your aptitude, vocabulary, technical skills etc. You may also be required to do some on the spot programming. Most of the people get eliminated in this round itself for lack of preparation. If you want to really get the job, you need to prepare yourself well to clear this round of interview. One of the most important qualities recruiters look for in candidates is their ability to communicate clearly. This means – how good is the candidate at explaining and understanding things. Software development is more of a team work wherein you are required to interact regularly with your team and people from client’s team. So, it is extremely important that you know the common language well – which in most cases is English. So, ensure that you work on your English by regularly reading the newspapers and other good books. Also, make sure that you are well prepared to take up a vocabulary or grammar test if the need arises during the interview. Show your enthusiasm and confidence during the interview but since you will be required to work in a team it is extremely important to be humble and pleasant to work with. This is one of the qualities recruiters would definitely want to see in a candidate. 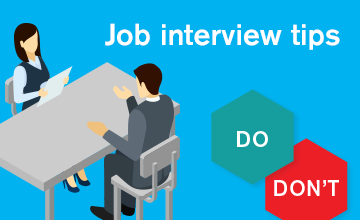 On most of the occasions, you will be interviewed only for one position - developer, team lead, project manager or tester for example. It will work in your favour if you exhibit your knowledge about other related facets of the position too. For e.g. if you are appearing for a developer’s position, it would help if you also discuss about leading the team, managing the project, testing the software or developing other people in your team. This will make you a stronger candidate for the position as most of the people would just discuss what they have been called for and go back. So, you can get a cutting edge here. It is extremely important to research the company, gain some know how about its business and the technologies it works on. Going unprepared demonstrates your lack of interest in the position. More than 50% candidates flunk it. So, you did well during your technical test? You think the job is yours? No. You still have HR interview to face and more than 50% candidates flunk the HR interview. HR interviews are conducted to understand the character of the person and see if he would fit into the corporate culture. So, make sure that you are able to understand the reason behind each question that is thrown at you and take a correct approach to answer it. Avoid talking negative things about your last job or boss in the interview. Talking badly about the previous employer reflects badly on your attitude. Make sure that you show your enthusiasm for the position you are being interviewed for and that you are really interested in working here. If you stay dull, the employer will take it as lack of interest and eliminate you for being a misfit. It is important to make a list of your strengths and achievements in the last positions you have held. They give you the confidence and help you in demonstrating yourself as a strong contender for the position. With so many social networking sites being in place and the companies having access to private investigators it is extremely easy for the employer to verify everything you said during the interview. So, while you have the right to remain silent, make sure that you do not falsify your candidature at any point of time. You might get the job by telling lies but the day they are exposed, the only door left open for you will be the exit door. So, your interview is over? Another important thing to know at this stage is that while it is considered polite to drop a thank you e-mail, bugging them up with a phone call everyday is not going to help. No company would like to let a good candidate get lost. They will dig out your contact details if they want to hire you. So, just drop a thank you e-mail and wait for them to come back.